It’s a small feather-weight sphere containing nothing but air, and it ricochets wildly off hard surfaces (such as the inside of my skull) at approximately Mach 2. Yep, I’ve got Ping-Pong Brain. Between the release of Book 11, a Bookbub1 promo for Book 1, and my website redesign, the past few weeks have slowly drained my brain’s contents while accelerating its activity until there’s nothing left but a frantic sense of urgency and the attention span of a super-caffeinated gnat. For instance, moments ago I clicked over to the internet to find out whether the Style Guide recommended capitalization on the word ‘Mach’, and I found a site dedicated to those pesky word usages that are so easy to screw up: http://stage-door.org/stampact/traps.html. The first few paragraphs are standard fare, but if you scroll down to the alphabetical list below there’s a fascinating (and immensely time-sucking) list. I got sidetracked and wasted a good 15 minutes before I smacked my brain back in the direction I’d originally intended. After a few more attempts at concentration, I realized that the probability of producing a coherent post for today was approximately equal to that of being picked up by a squadron of flying pigs for a nice aerial tour of the frozen flames of hell. The following article is a few months old by now, but I still find it funny (in a sad sort of way) that the people of Siberia preferred Barsik the cat to any of their other political options: http://www.cbc.ca/news/world/barsik-cat-siberia-russia-barnaul-1.3373334. Unfortunately, I couldn’t find a follow-up article, so I don’t know whether Barsik actually won the election. And that’s my brain this week, ping-ponging from cats to cooking to conditioners. How was your week? If you’re interested in the Book Club, I’ve posted a few thoughts about the format for discussion. I’d really appreciate your input on 4 questions – please click here to reply. Thanks! I LOVE the new site! Looks fantastic. I think I shall have to steal , I mean borrow , some ideas. I can appreciate the time and energy but a great result. Love the new look, it feels very “welcomey”. Thank you, also, for the links for the audio books app thing. I have them copied so I can learn them better later on. My Kindle is on of the older first ones, not much involved in it other than space for lots of books! I’m so glad your eyes are getting better – what trial for you! I’m keeping my fingers crossed that your vision will behave for a while now. (Enough to dig into your pile of Bookbub goodies, anyway.) I’m glad you’re enjoying Book 11, too! I get ping-pong brain, Diane. I mean I get it as in get it, and get it as in know it. 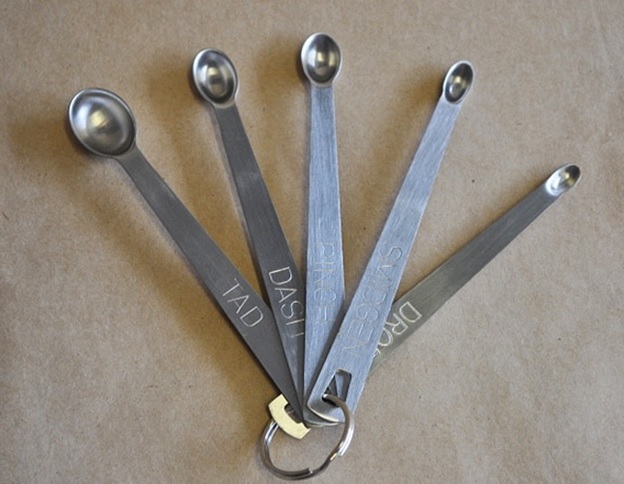 I knew I shouldn’t have read that other list… I need one of those measuring spoons though – my dash is more of a tad. Me, yelling from kitchen: How much did you say to put in? Her, yelling from office (den): A smidgen and a half! Me: I thought it was a pinch! Her: No, no, no, a pinch is too much! Gotta be a smidgen and a half! Me, pulling my hair (which would explain a lot): Well, we don’t have a measuring spoon for that! How much is it in teaspoons? Her, also pulling my hair (which also explains a lot) THREE SIXTY-FREAKING-FOURTHS! DURR! Me, rubbing the place where my hair used to be: Well, why didn’t you SAY so! There was a period of time a few years ago that I kept mis-reading everything from newspaper headlines to food labels. Then I had cataract surgery and – voila! I can read again … but it’s a lot less entertaining now. There sure is a lot swirling around in that King-Kong brain of yours. Maybe the nostril hair is anchored at the base of the skull and has to grow all the way through the brain and through the nose where it is trying to seek the light. It’s only a theory. Aha! That would explain a lot. 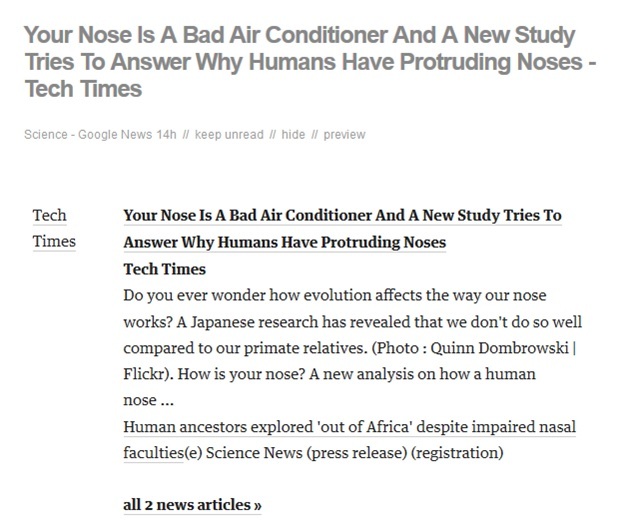 Remind me not to pluck any nose hairs, just in case I pull out my brain by mistake. My brain is ping-ponging all over the place lately too, even more so than usual. Surely there must be a cure for this? I suppose that cure involves shutting off the screens and taking long walks outside and reconnecting with nature. But if only we had the time. How amazing that your hubs cooks with you. I’ve been married to a guy for so long who never ever cooks that I forget men do this. But luckily hubs does many other things, like the laundry. That’s definitely a decent trade-off! Oh, and congrats on the Bookbub promotion! Thanks, Carrie! I may have slightly exaggerated Hubby’s cooking skills. He actually only cooks 4 things: spaghetti, hamburger stew, bacon-cheese-macaroni casserole, and chili. Oh, and he boils crab very competently, too. But I don’t care – even though he doesn’t have a giant repertoire, it’s still really nice to sit down to a meal I didn’t have to cook! Yes, that’s the best part, isn’t it? I think that’s why I enjoy leftovers so much. I can just enjoy the food without having had to spend time making it (at least not that night). Not looked fully yet, I’m currently cuddled up with an almost 9week old baby not mine I must add. Your ping pong brain and Ol’Buzzards are about on par. Your new blog page look is awesome. Attention span? What that. . . oh, look, something shiny, as my daughters say. I’m liking the new blog look. Nice.